The New York-New Jersey joint coalition decided on a twin-tube design by Clifford Holland, a pioneer in tunnel construction. In 1919, Holland became chief engineer of the tunnel that eventually bore his name. 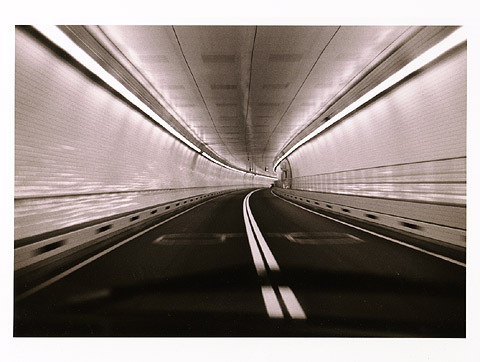 The Holland Tunnel (l8,558 feet north tube lenght, 8,371 feet south tube lenght) was one of the first major uses of a compressed air chamber for tunnel stability. Since it was built in 1927, more than one billion vehicles have used the Holland Tunnel.